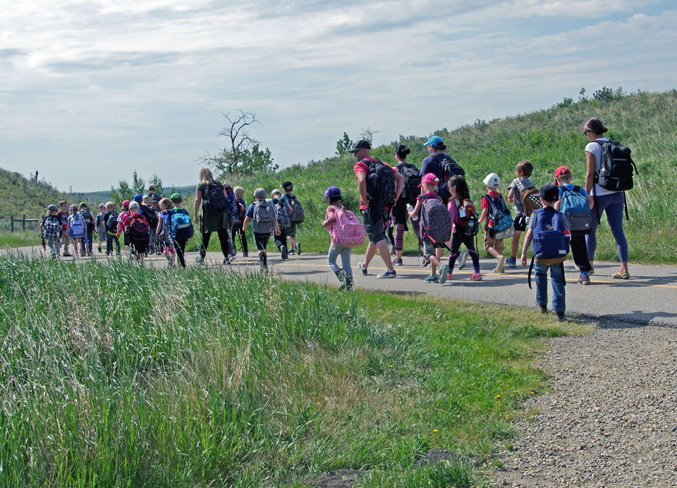 Glenbow Ranch Provincial Park enjoyed a busy, highlight-filled summer, according to Executive Director of the Glenbow Ranch Park Foundation (GRPF) Sarah Parker. “It was certainly busy at the park, and word of mouth from regulars was…the parking lot was packed much earlier,” she said. This summer, Parker said, Glenbow Ranch took full advantage of its recently-opened visitor centre, which was under construction last season. According to Parker, volunteers tracked more than 200 visitors per weekend at the new facility, which she said doesn’t account for visitors that might have bypassed the centre during their stay. She estimated attendance at the park throughout the summer months surpassed last year’s, and added she was surprised at the number of international guests who visited Glenbow Ranch – including travelers from Scotland, Thailand, New Zealand and Mallorca.